Our artist pride themselves on custom designs and being able to create unique, one of a kind artwork for each of our clients. This allows our artists to take the time to sit down with each client and discuss the tattoo design in full. The artist can begin the drawing process with all of the information that they will need to create a tailored tattoo to each clients’ idea. This design element is key to their work, so they prefer to not quote through email or over the phone because it lacks the often necessary communication that they gain by having each client come in for a in-person consultation. We will make exceptions for those clients who are out of the area, but again, they would prefer to have a consultation in person. PRICING A TATTOO DEPENDS ON MANY THINGS: SIZE, STYLE, DETAIL, PLACEMENT ETC. THE ONLY WAY TO GET A ACCURATE ESTIMATE ON A TATTOO IS TO TALK TO THE ARTIST IN PERSON ABOUT THE TATTOO. 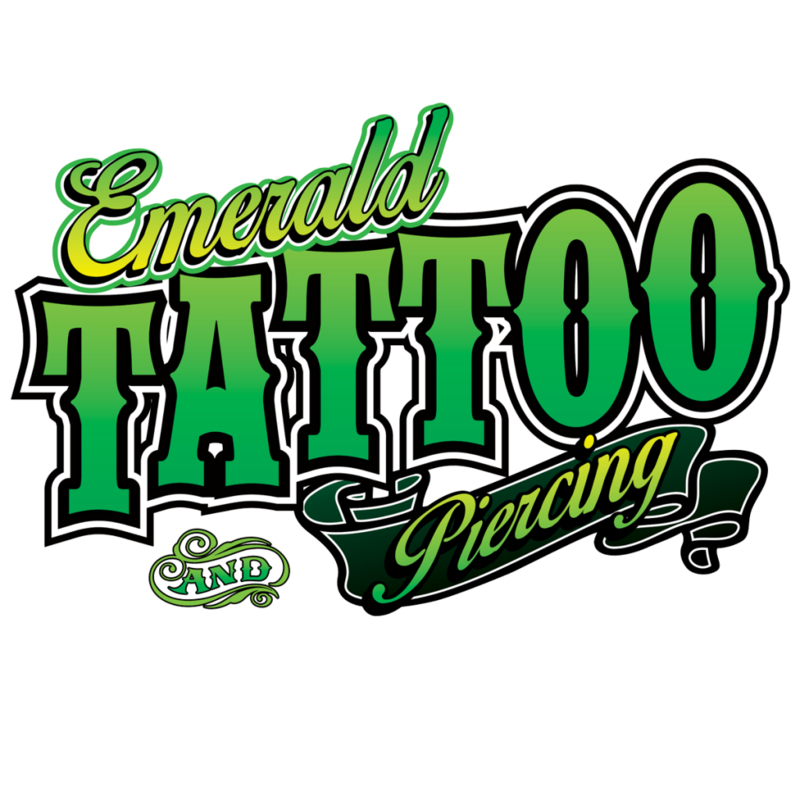 WE DON’T CHARGE FOR “MOST” ARTWORK AS LONG AS A $50 DEPOSIT IS GIVEN TOWARD SCHEDULING AN APPOINTMENT FOR THE TATTOO WHICH COMES OFF THE END PRICE OF THE TATTOO. JUST REMEMBER…… FIRST AND FOREMOST TATTOOING IS A SURGICAL LIKE PROCEDURE, THERE IS MORE THAN ART INVOLVED (THOUGH THE ART IS JUST AS IMPORTANT AS THE SCIENCE). IF YOUR SHOPPING AROUND FOR THE CHEAPEST PRICE THAN YOU WILL MOST LIKELY RECEIVE THE POOREST QUALITY. ALWAYS GO BY ART LOOK AT PORTFOLIOS FIRST, THEN PRICES.